Some of the most exciting finishes to any martial arts battle are highlight-reel knockouts. In fact, the only thing that can make them even more dramatic and decisive is when it comes unexpectedly early in the contest. 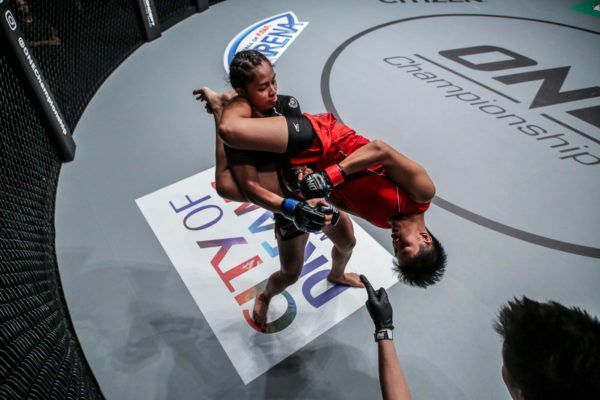 This past weekend, at ONE: GLOBAL SUPERHEROES, two of ONE Championship’s finest athletes set brand new records. With that in mind, ONE revisits four more of the fastest knockouts in the promotion’s history. 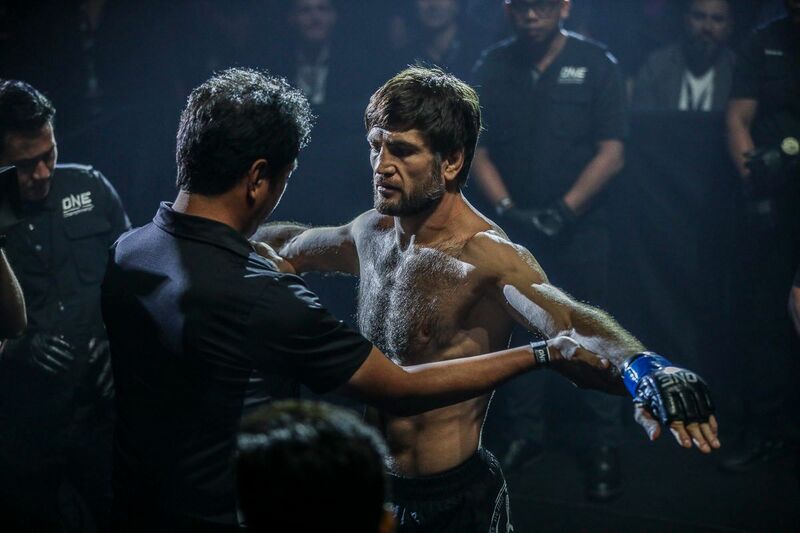 Russia’s Timofey Nastyukhin has become one of the premier knockout artists in the entire world. 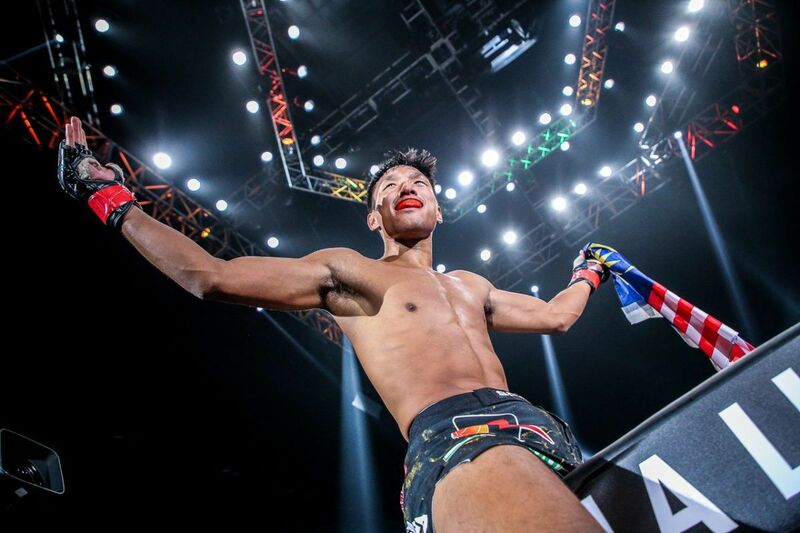 Upon arriving in ONE Championship, he shocked the world when he knocked out former ONE Lightweight World Champion Eduard “Landslide” Folayang, and then top competitor Yusuke Kawanago. However, his quickest act of brilliance happened in May 2016. At ONE: KINGDOM OF CHAMPIONS, he met Aussie hard-hitter Rob Lisita in a catchweight bout, and he wasted no time in going for the finish. Just seconds after the opening bell, Nastyukhin threw a straight right, followed by a left hook that landed flush on the charging Aussie’s jaw. Lisita was out before he even hit the canvas. Referee Yuji Shimada immediately jumped in to stop the action. 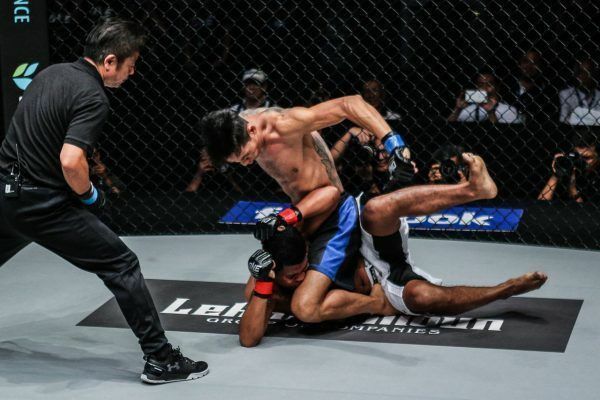 It was a six-second KO, which is the quickest finish in ONE Championship history. 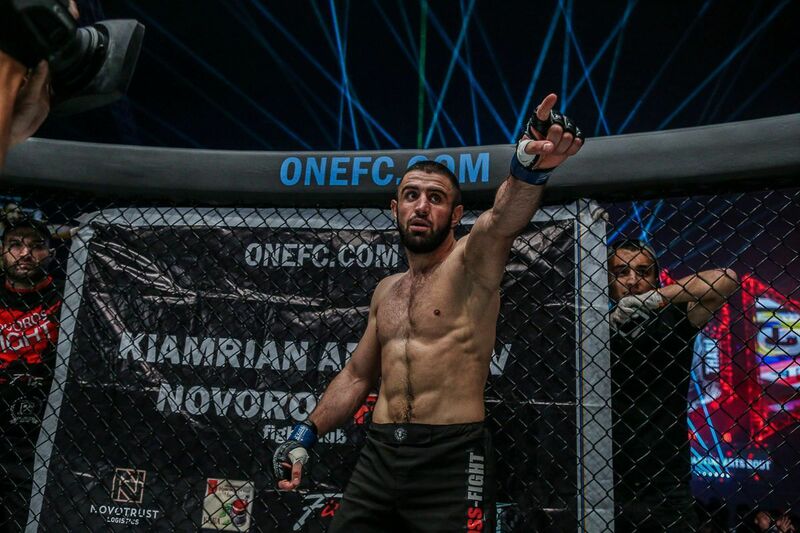 Nastyukhin will next appear in the cage next against Amir Khan at ONE: QUEST FOR GOLD, and it looks to be a jaw-dropping contest, with Khan holding the most knockouts in the promotion at seven. 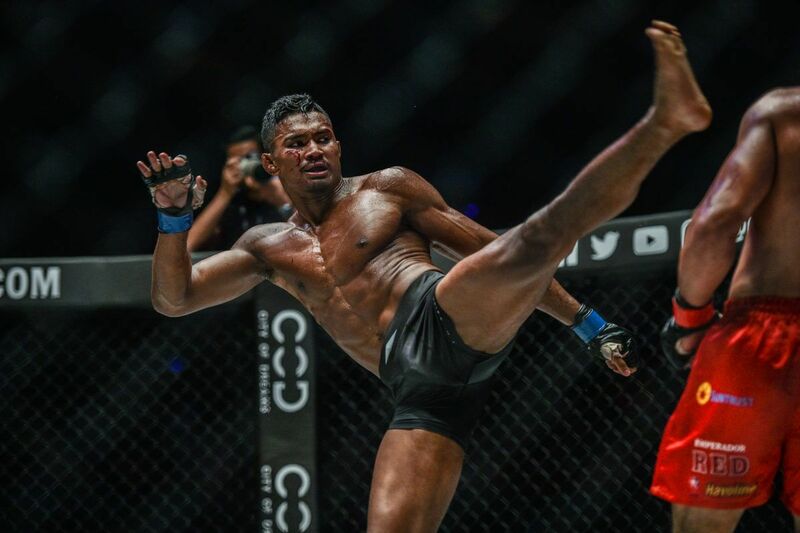 In December 2015, Mario Satya Wirawan was looking to bounce back from a defeat in his promotional debut, after he suffered a decision loss to fellow countryman “The Terminator” Sunoto just three months prior. At ONE: KINGDOM OF KHMER, it only took six seconds for the Indonesian to turn his luck around. He met Cambodia’s Chan Heng at the event, and he quickly had his hand raised. Once the bell rang, Wirawan snapped three pawing left hands, and then fired a massive cross. The powerful shot connected perfectly on Heng’s jaw and dropped him like a ton of bricks. That caused referee Olivier Coste to stop the contest just six seconds in, and award the win to Wirawan. It was the fastest knockout and stoppage in ONE’s bantamweight history, and tied for first as the fastest knockout and stoppage victory in the promotion overall. 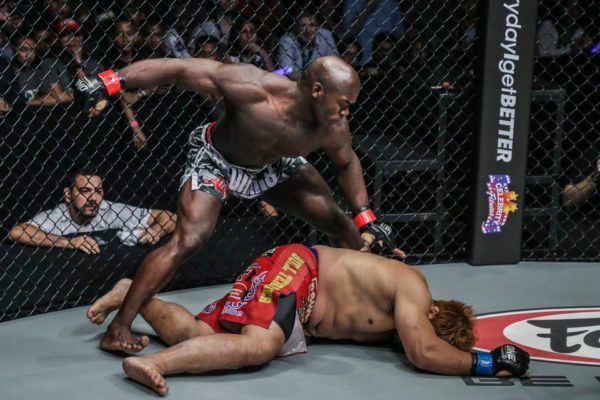 This past September, at ONE: TOTAL VICTORY, fans saw the action figure physique and world-class striking of Alain “The Panther” Ngalani, as he dispatched seven-time BJJ Champion Hideki “Sherk” Sekine in record time. The Japanese “Shrek” made no attempt to hide the fact he wanted to take this contest straight to the ground. Immediately after the bell rang, he stalked Ngalani, literally, with his hands outstretched in an attempt to grab the striker. Ngalani was having none of it, as he avoided the takedown by acting as a matador to Sekine’s bull, and landed one perfectly-placed right hand that the Japanese hulk never saw coming. The punch caused Sekine to fall face-first onto the mat. The bout was stopped just 11 ticks in, and stands as the fastest knockout and stoppage in ONE’s heavyweight division. An aggressive start straight into full mount! Relentless striking from Phoe "Bushido" Thaw. Phoe “Bushido” Thaw has emerged as one of Myanmar’s most exciting talents. The undefeated warrior is perfect at 5-0, all because of stellar performances like the one he displayed at ONE: STATE OF WARRIORS in October 2016. 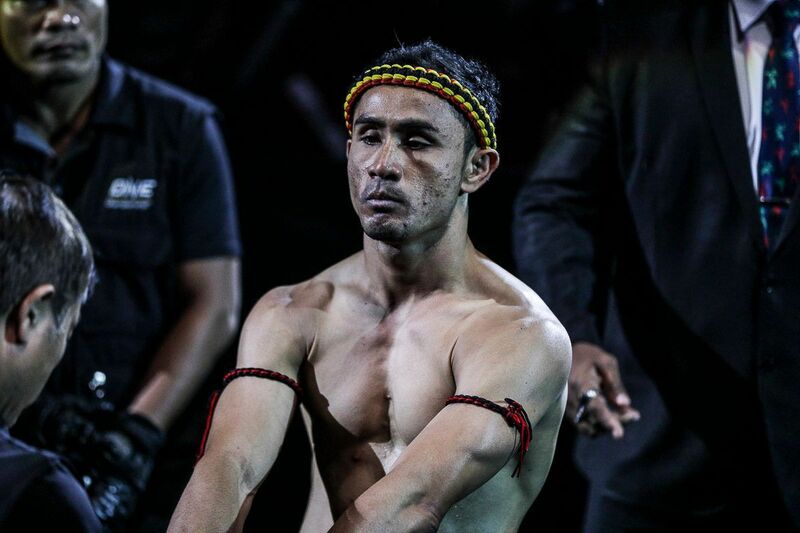 In the 2016 ONE Myanmar Featherweight Tournament, he met fellow lethwei practitioner Kat Pali in the semifinals. Seconds after touching gloves, Phoe Thaw exploded with an orchestra of versatile strikes, which spelled an early end for his foe. The man known as “Bushido” overwhelmed Kat Pali with kicks, punches, and a flying knee. Once the two hit the fence, Phoe Thaw immediately landed a takedown and fell straight into full mount. He landed devastating punches and elbows until the contest was stopped at just 22 seconds. For nearly 15 months, it was the quickest knockout and stoppage victory in ONE’s featherweight division, up until Edward Kelly’s immaculate destruction of Meul last weekend. Phoe Thaw, however, could get a chance to reclaim his record in the near future. As a native of Myanmar, it would not be surprising if he appeared on the card for ONE: QUEST FOR GOLD.